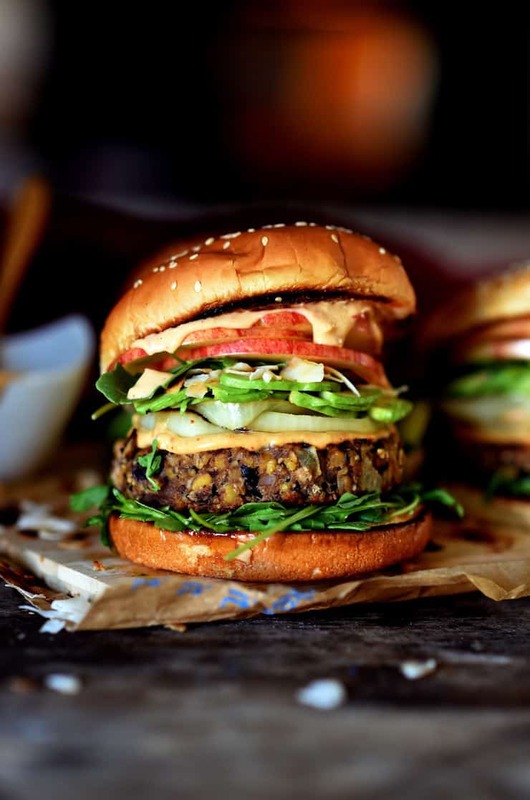 16 amazing veggie burgers that are perfect for summer barbecues! They will not fall apart on the grill! In just 30 minutes you will be able to enjoy these sweet ‘n savory sliders! 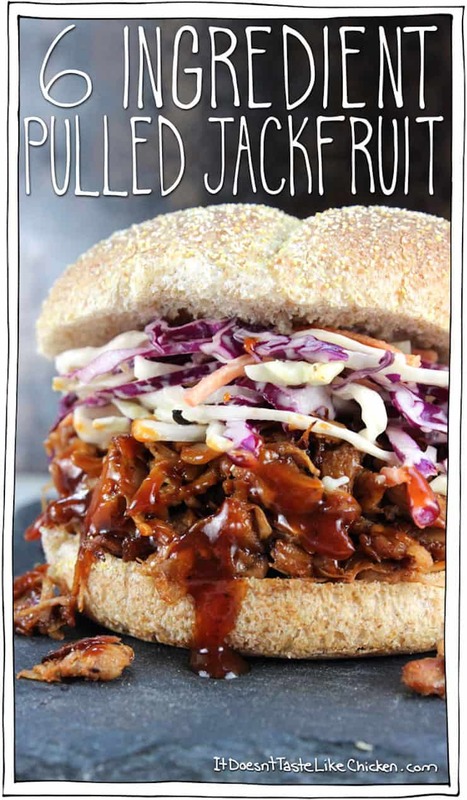 Jackfruit a delicious fruit, mimics pulled meat, such as pork, beef, or chicken! Get the recipe. Freezer friendly and easy to pull together. Get the recipe. Get ready to enjoy these delicious burger! Get the recipe. 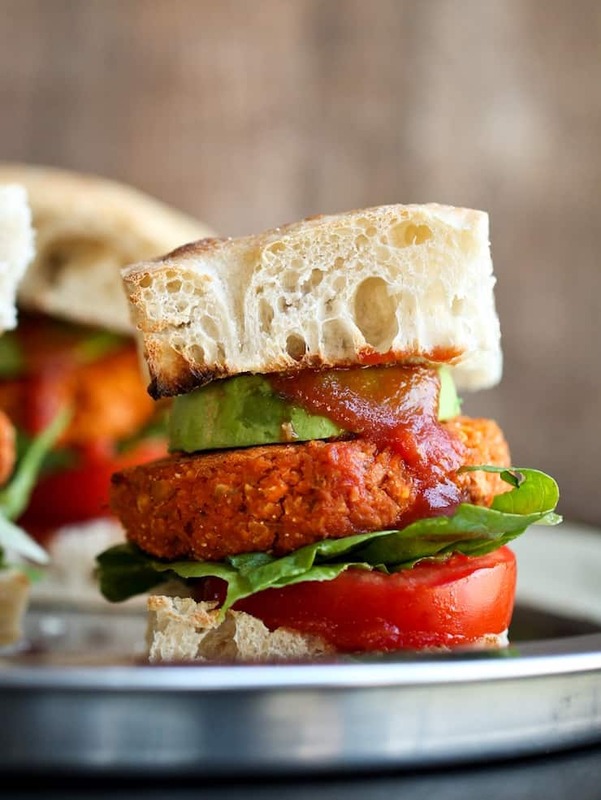 This burger is gluten-free, filled with tons of flavour! Get the recipe. 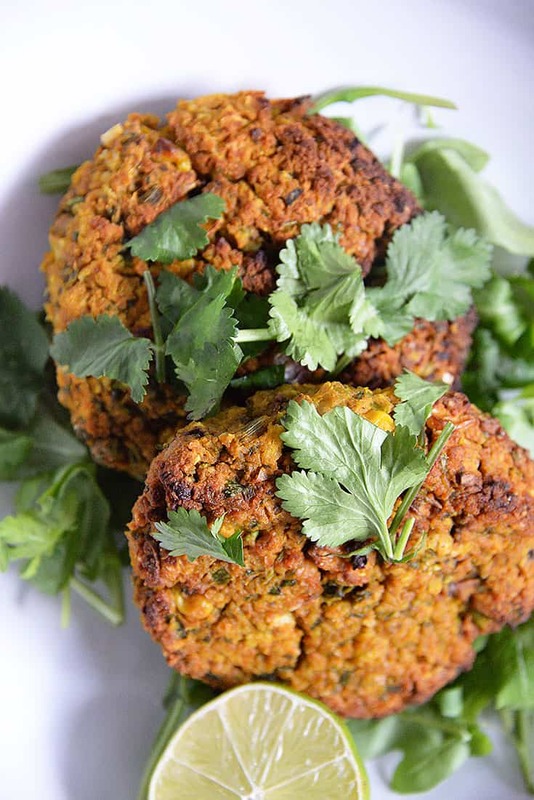 These veggie burgers are the ultimate healthy comfort food. Crispy on the outside and cooked to perfection. Get the recipe. 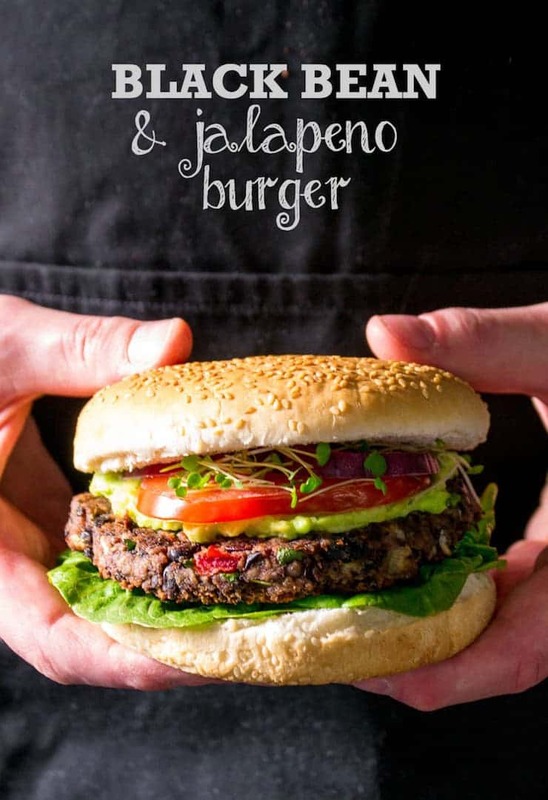 Made with wholesome ingredients, and oil-free, this burger is loaded with flavour! Get the recipe. 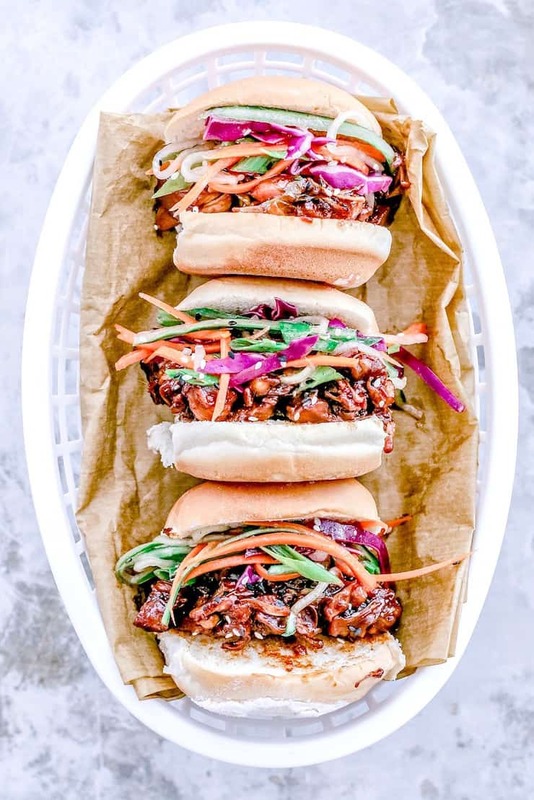 These burgers are topped with tangy barbecue sauce and served up on buns with creamy slaw. Get the recipe. 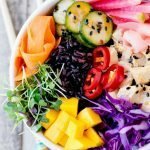 This is a healthy and incredibly tasty vegetarian and vegan alternative to pulled pork or chicken. Its quick and easy to make! Get the recipe. 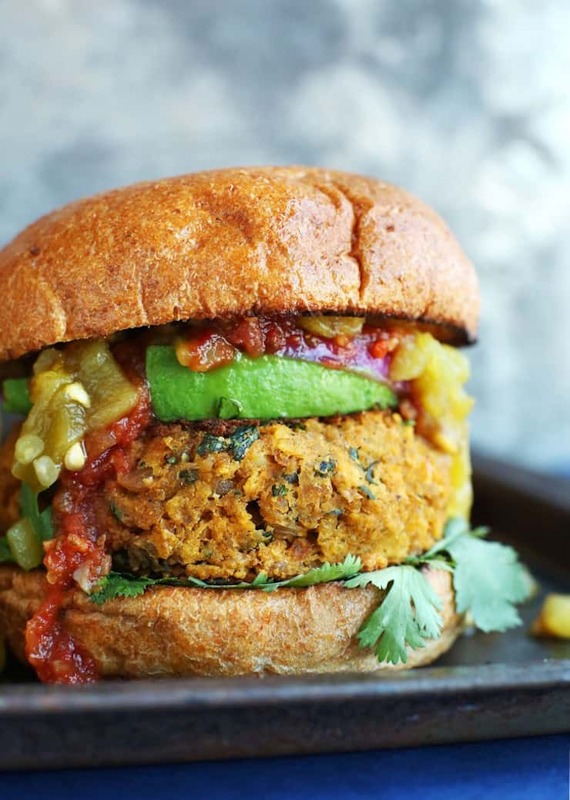 These veggie burgers are made with chickpeas, green chilies, and crushed tortilla chips! Its tender, loaded with flavour, and quick to make! Get the recipe. 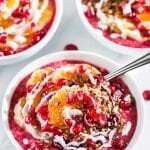 Very unique recipe, enjoy! Get the recipe. 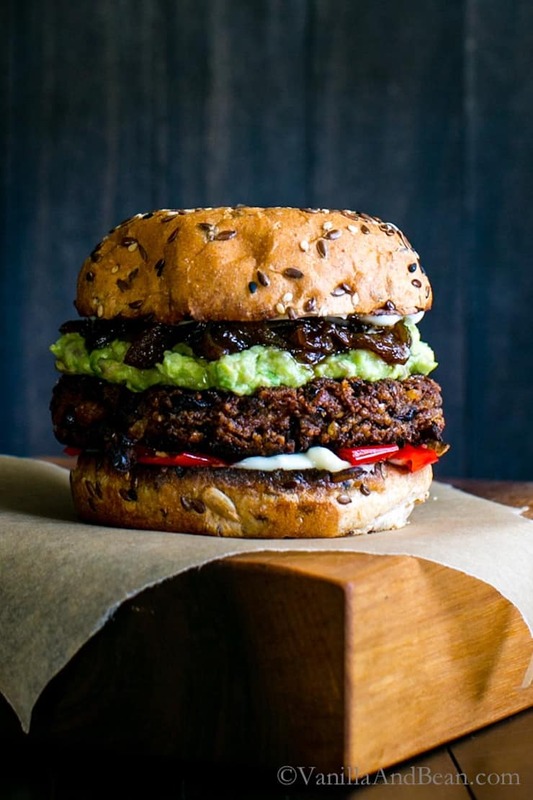 This burger requires 10 ingredients and comes together in 30 minutes. Get the recipe. 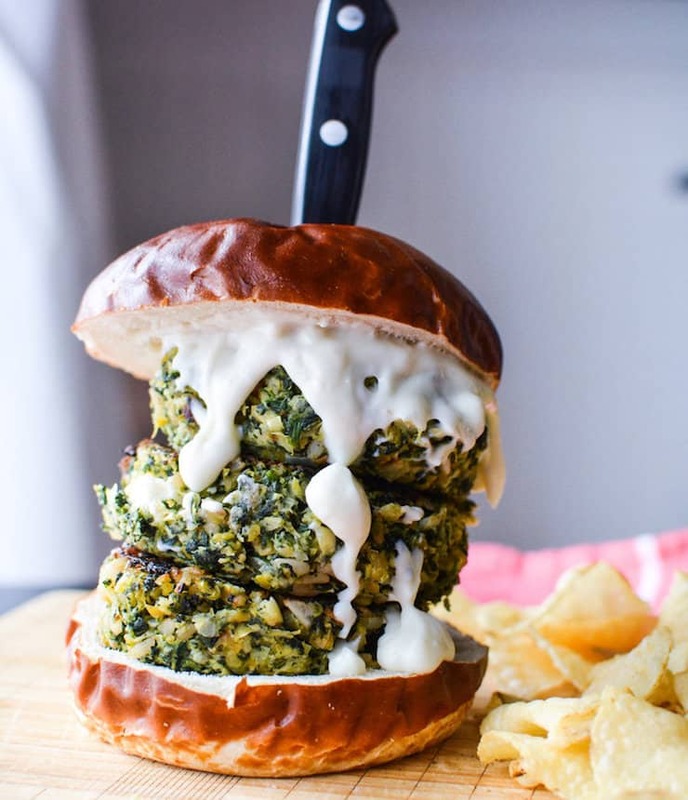 The burger is filled with spinach, artichoke, roasted garlic, onion, chickpeas, brown rice and of course, cheese! Get the recipe. 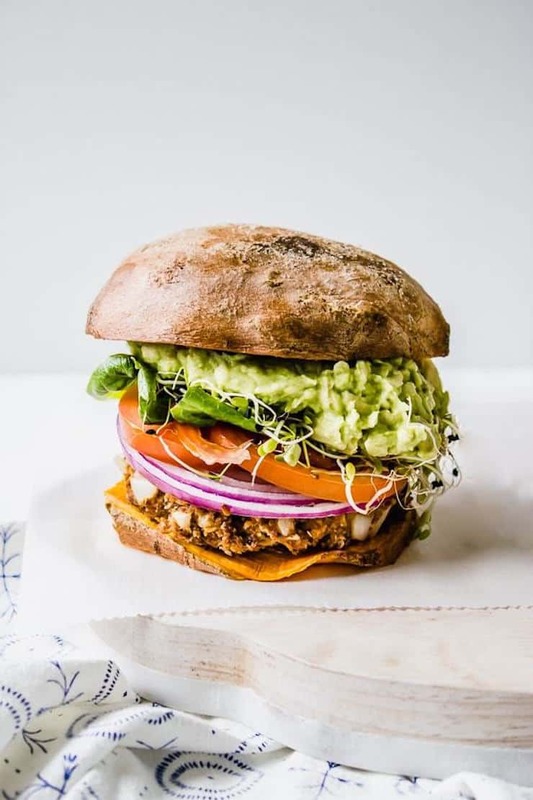 The burger placed on a toasted bun with vegan sriracha mayo, is stuff with caramelized onion, sliced avocado, fresh tomatoes, and greens. Its just heaven in your mouth. Get the recipe. 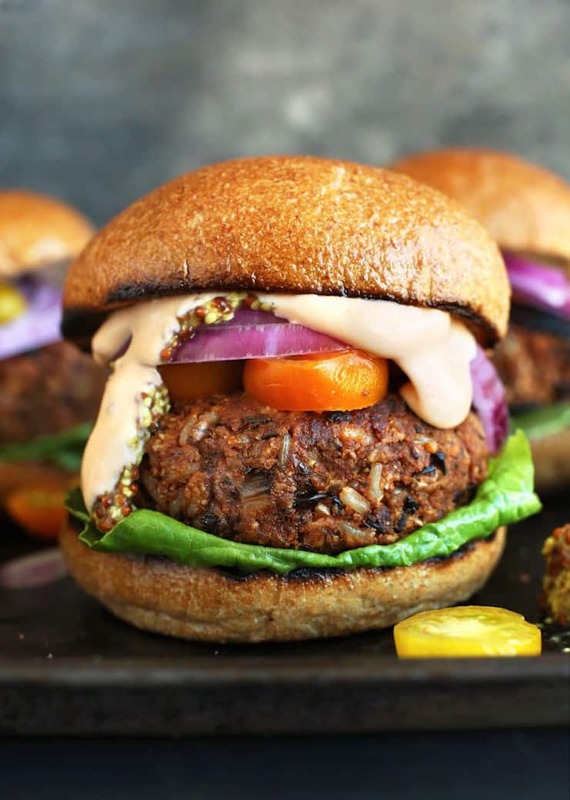 These vegan friendly burgers are AH-mazing. 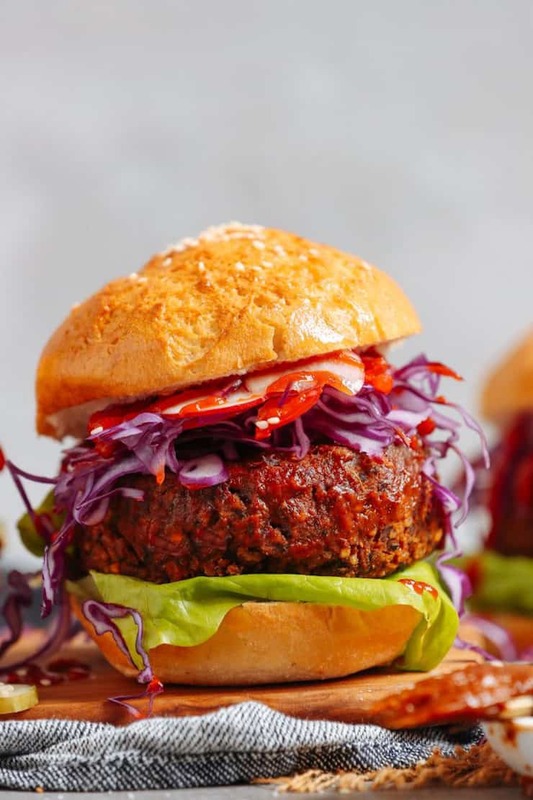 Spices, grains, and beetroot brings this burger together for a dinner that is very healthy. Get the recipe. This is the ultimate low carb burger with patties nestled between two grilled portobello caps. Get the recipe. 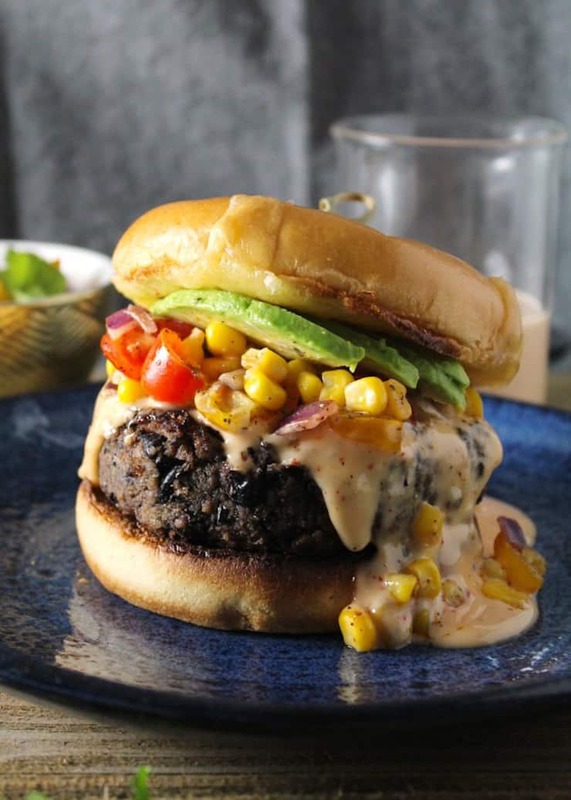 This burger is a hit, topped with corn salsa, sweet chili mayo, and creamy avocado for a meatless must have meal. Get the recipe.